Once you’ve researched and chosen your puppy breed, it’s time to research questions to ask dog breeders and be alert for warning signs. Puppies easily wiggle their way into our hearts but it’s important to know what you should expect from your dog breeder. It may not be important to you to have a registered puppy if you don’t plan to breed or compete in conformation dog shows. But legitimate and responsible breeders have pedigree information and registration documents available. If you’ve paid for a pedigreed dog, you should receive the proper documentation. Be sure to ask if your chosen puppy is a show prospect or considered “pet quality.” The breeder may retain showing or breeding rights or only offer co-ownership if the puppy has a good chance for excelling in competition. The breeder may offer only a limited registration or withhold papers altogether until a “pet quality” puppy has been spayed or neutered. Pet quality puppies usually cost less but are equally wonderful pets. 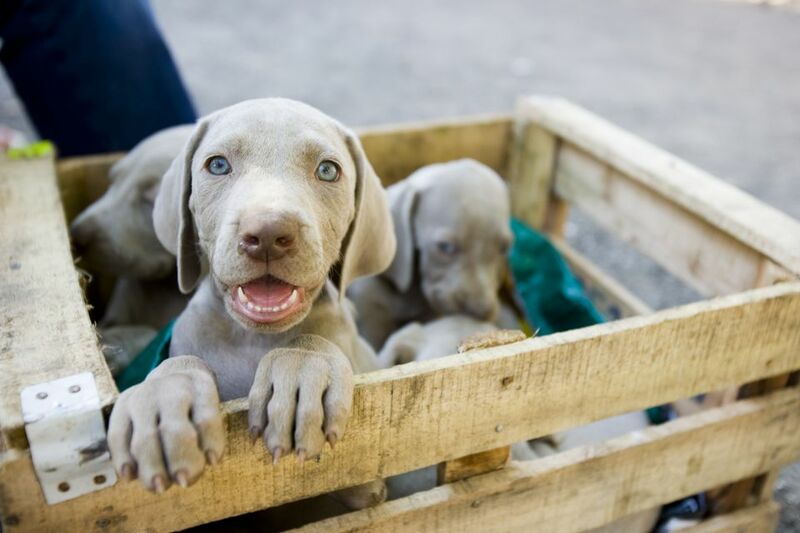 Even well-bred and cared for puppies may develop health problems. For instance, hip dysplasia may not become apparent until the puppy is a couple of years old. Ask if the purchase price includes any sort of health guarantee, and what health clearances have been done on the puppies or the parents. For instance, dog breeds known to have problems with dysplasia should have the parents tested by OFA or Pennhip testing. That doesn’t guarantee your puppy will be healthy but improves the chances he won’t inherit problems. Some breeders offer refunds or rebates of purchase cost should the puppy develop heritable conditions later in life. Your breeder should provide medical history on the puppy. Depending on the age of adoption, this will include one or two sets of puppy shots or other care like routine worming. The purchase contract may require owners to maintain specific health care practices, feed recommended diets or other specific instructions. Before being smitten with puppy-love, get an up close and personal look at where the baby was born and raised. Visit the breeder. If the breeder refuses, that should raise your antennae. Breeders have valid reasons for declining visits—puppies too young, for instance—but should be able to explain to your satisfaction. The facilities should be clean. There should be adequate food and water. Look for warm comfortable sleeping areas free of feces or urine. Look for a modest number of dogs, and go elsewhere if the yard or house is filthy and they’ve got dozens of dogs with multiple litters. Puppies can be hard to keep clean, especially with large litters, but you can tell if cleanliness is neglected or is a priority. If the pups and mom-dog are kenneled, ask how much people interaction is provided. That’s vital for proper puppy socialization. Ask to see the parents, if possible. Stud dogs often are owned by someone else, but the mother dog should be on the premises. Some mothers are quite protective of puppies, so it may be best to meet her away from the litter. Checking out mom can be a window into your puppy’s future and lets you see how her puppy may develop once grown. If the mother dog acts fearful, growls, or must be locked away, please reconsider purchasing her puppy as these traits can be inherited. 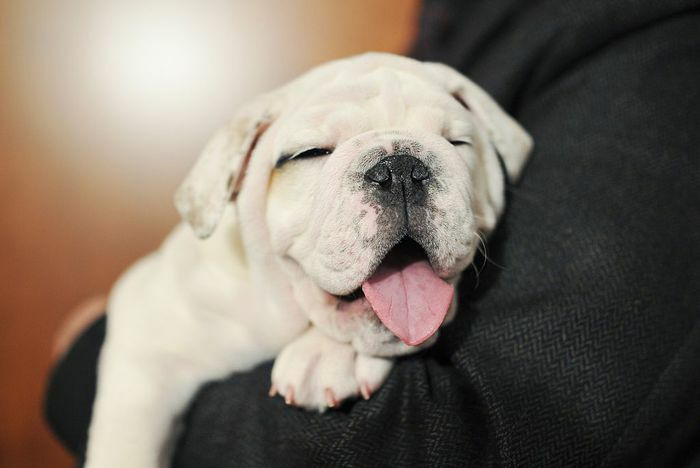 The best breeders want puppies to go to a forever home that provides proper care and training. So expect to be quizzed on what you expect and can offer to their treasured baby. If there are no questions from the breeder, run the other way. Ask if the breeder has ever turned down a sale. You want the answer to be YES, rather than learning they’ll let a puppy go to just anyone who asks. A healthy puppy from a reputable breeder with a good bloodline won’t be cheap and can run several hundred dollars. Local newspapers may post advertisements for much less. Backyard breeders and puppy mill establishments offer “purebred” puppies dirt cheap, but they won’t pass any of these test questions. You’ll get what you pay for. What Are the Signs of Hip Dysplasia in Puppies?